Always on-the-go? Meet your new go-to lunch. As a college student, healthy and easy are two of my favorite words to hear (besides “football Saturdays” and “no class,” of course). And since lunch is the time of the day when most of us are in the biggest time crunch between classes, combining these two words with this midday meal hits the trifecta. Voila! 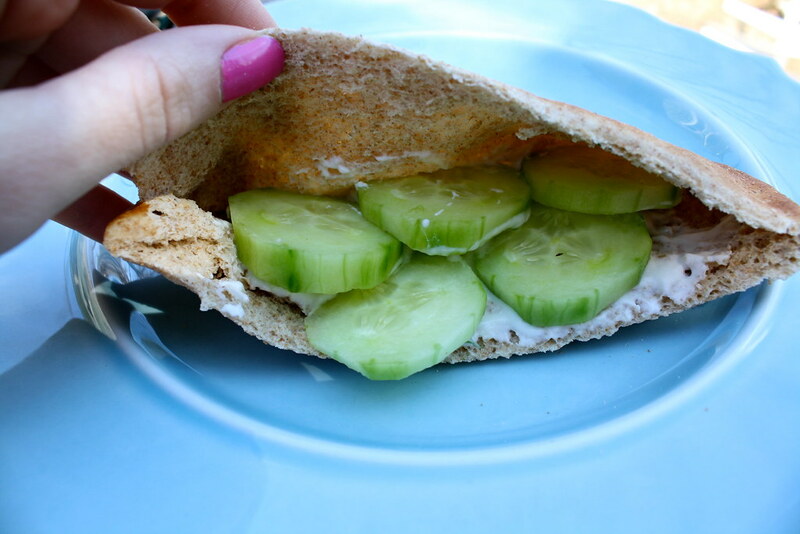 The 5-Minute Lunch: Chicken Cucumber Pita Pocket. This recipe takes about as much time as it would to reheat last night’s dinner, while also packing nutrition and protein inside for insta-nourishment (you can stop letting your growling stomach be a distraction during your biology lecture). Whoops, looks like I just took away your “there’s not enough time to make lunch so time for leftover pizza” excuse. And I’m not sorry about it. 1. Cook chicken breast, or cut pre-cooked chicken breast into strips, approximately ½ inch wide. 2. 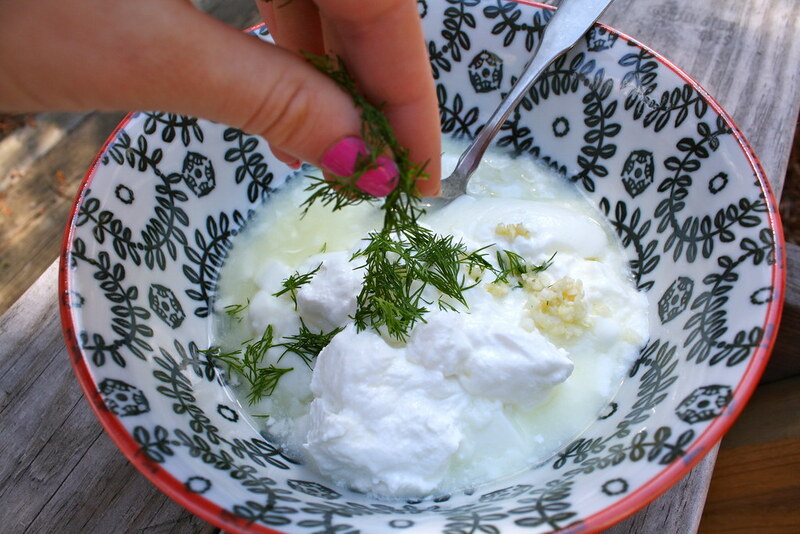 Spread 1 tablespoon of dill dip on the bottom of opened pita pocket (if you are making your own dip, simply combine all ingredients in a bowl and mix well). 3. 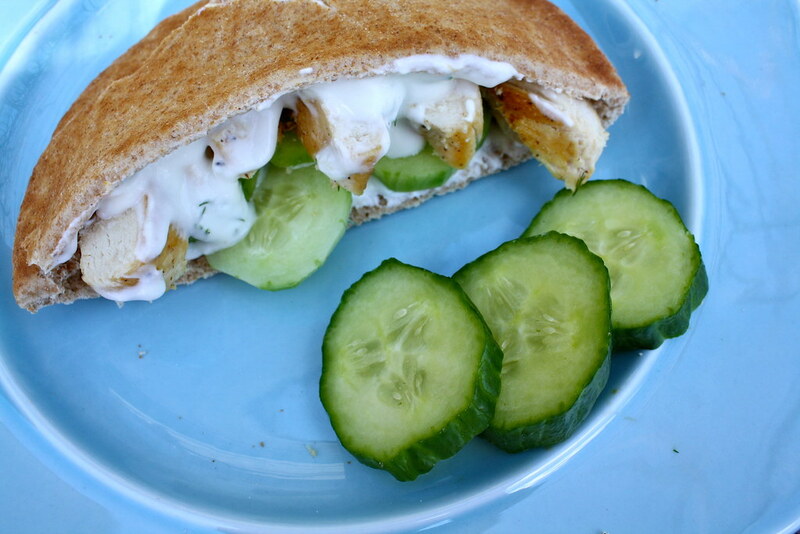 Layer cucumber slices and chicken slices on bottom of pita. 4. 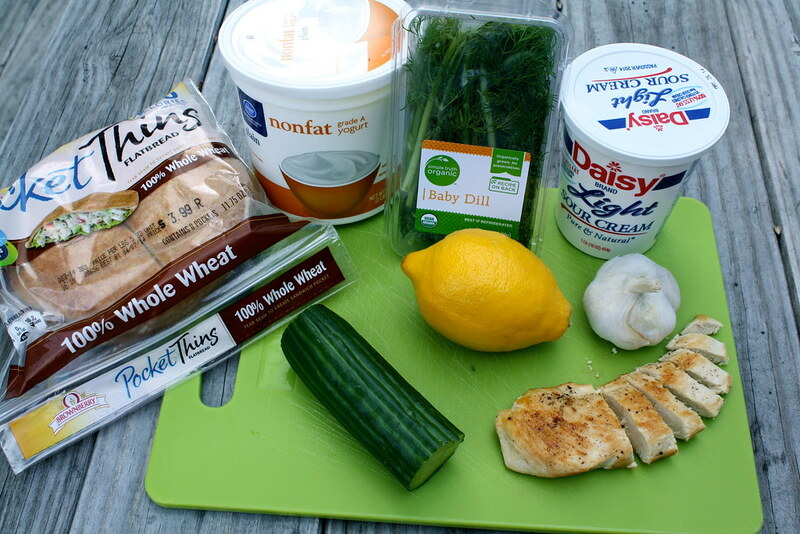 Spread remaining tablespoon of dill dip over chicken.